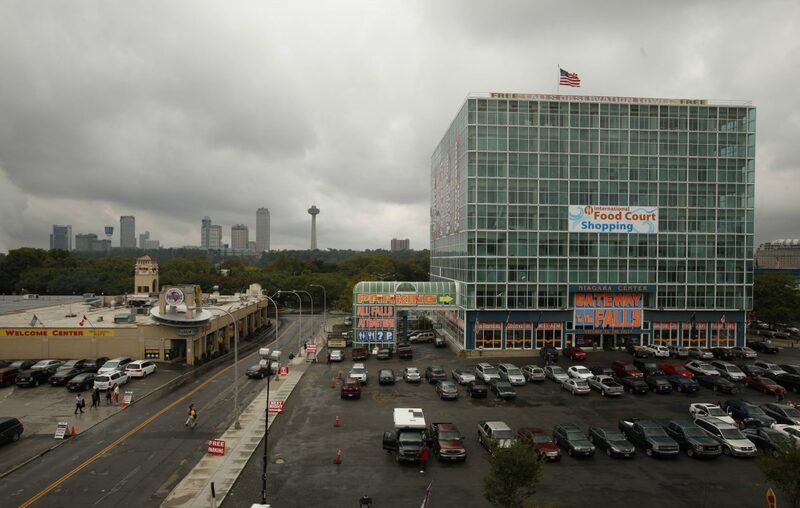 The Niagara County Industrial Development Agency will hold a public hearing next month on a 10-year tax break on improvements to the Niagara Falls Welcome Center in the One Niagara building near the Rainbow Bridge. Last month, managing partner Paul A. Grenga applied for a five-year tax break on the $10.2 million improvement package, but during his presentation he unexpectedly asked for a 15-year deal. The NCIDA board reacted by tabling the proposal, which was revived, and revised, Wednesday. The NCIDA staff estimates that a 10-year break, including property tax reductions and an exemption from paying sales tax on building materials and furnishings, would save the company $2.46 million. Thirteen jobs are to be added to the current roster of 28. The plan includes replacing all the windows in the green "flashcube" building and adding two "4-D" simulated-motion theaters that would show a movie depicting a plunge over the falls. A gaming arcade and rope-climbing wall also would be added.